LOS ANGELES--(Marketwired - May 06, 2013) - http://www.FilmOn.com FilmOn.TV the world's largest free live TV platform for the Internet today unveils The Legend Of Bruce Lee an original thirty-hour biopic television series exclusive to FilmOn. The entire series is ad-funded and free to the tens of millions of FilmOn fans in North America. You can surf to FilmOn.com right now and watch the entire series. The entire thirty hours plays in the USA for the first time and was produced by Los Angeles based film-maker Shannon Lee (his daughter), who also Chairs the Bruce Lee Foundation. 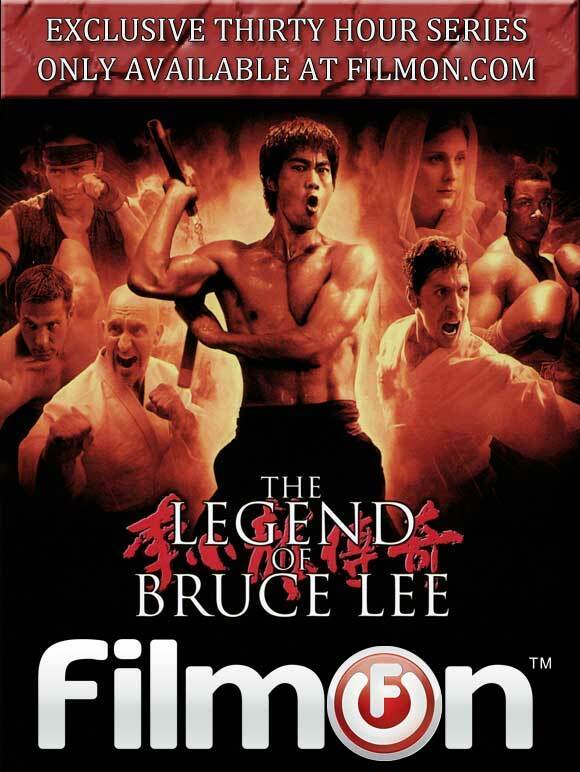 FilmOn acquired the exclusive US rights to stream the thirty, one-hour episodes of the extravagantly produced television biopic The Legend Of Bruce Lee from China's national broadcaster CCTV. The series was originally made in the Chinese language and dubbed to English for US audiences. Founder & CEO of FilmOn Alki David said "For the millions of Bruce Lee fans in the USA who will have never seen the series before may have been teased by a Lionsgate 90 minute film version, which was criticized for not covering enough of Bruce's life story! Now they can see the full thirty-hour dramatization of Bruce Lee's life-story starring Kwok-Kwan Chan as Bruce Lee, completely for free on FilmOn.TV." FilmOn also offers an additional 500 plus advertiser funded TV Channels including live Local Television broadcasts in New York, Chicago, Boston, Dallas, Miami, Atlanta, Denver, Washington DC, Phoenix, Los Angeles and San Francisco. Additional services such as HD streaming for connected TV's and remote DVR services are also available for in small monthly packages depending on the amount of storage you wish you have.